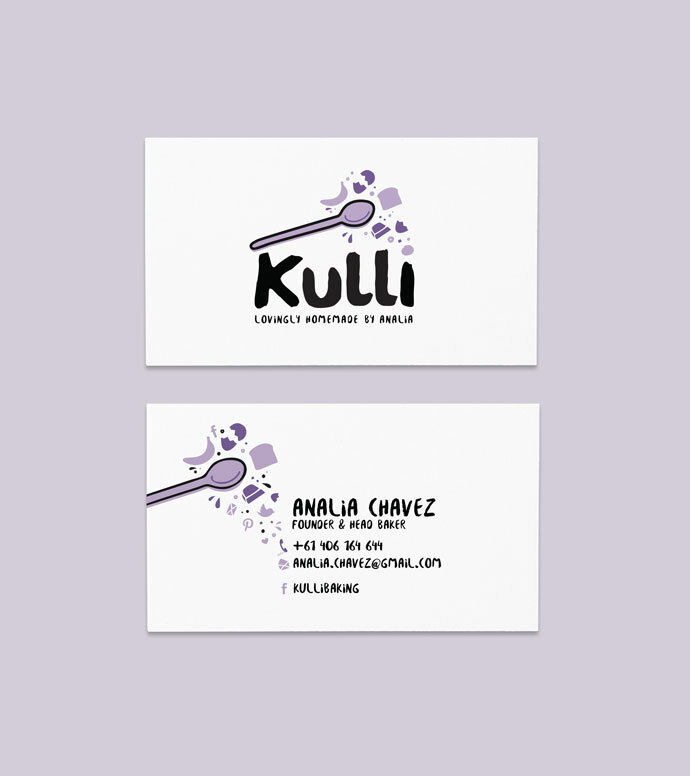 Kulli’s owner Analia is a wizard when it comes to baking. 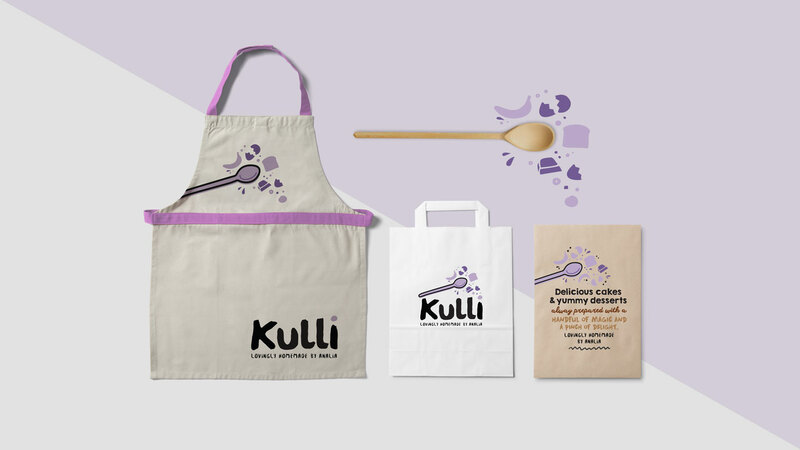 Her homemade banana bread and brownies are decadent and sprinkled with 10% love.She asked me to create a brand and packaging design that truly reflects her passion in the kitchen. 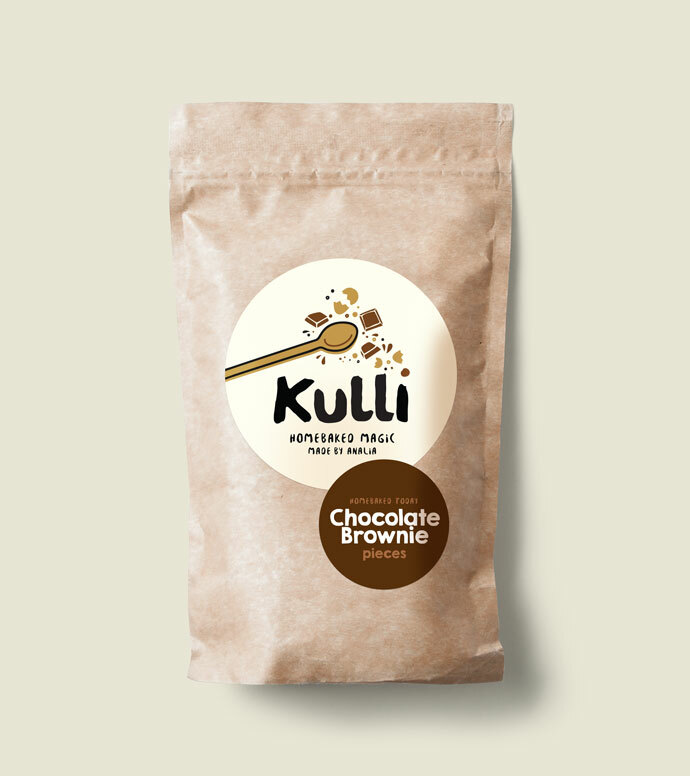 All of Kulli’s products are made the old fashion way, measured and mixed at home with cup and spoon. 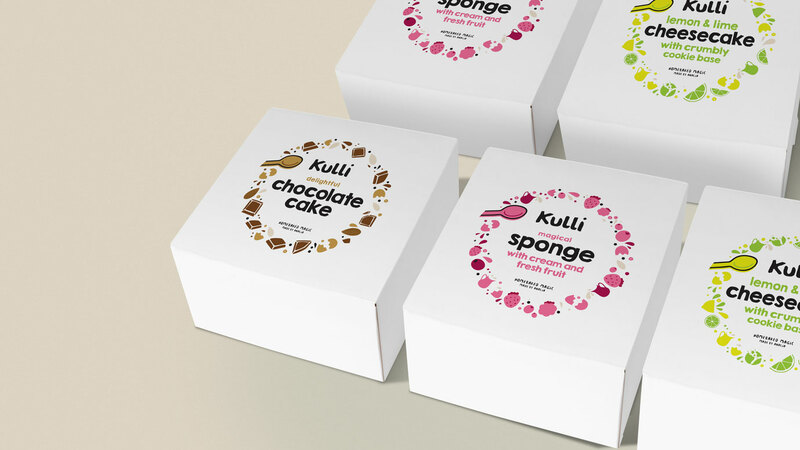 Analia transforms simple ingredients into magically tasty flavours! To complement the style and methods, I’ve created a hand drawn brand mark – a magical wooden spoon wand with illustrated ingredients spilling from it. 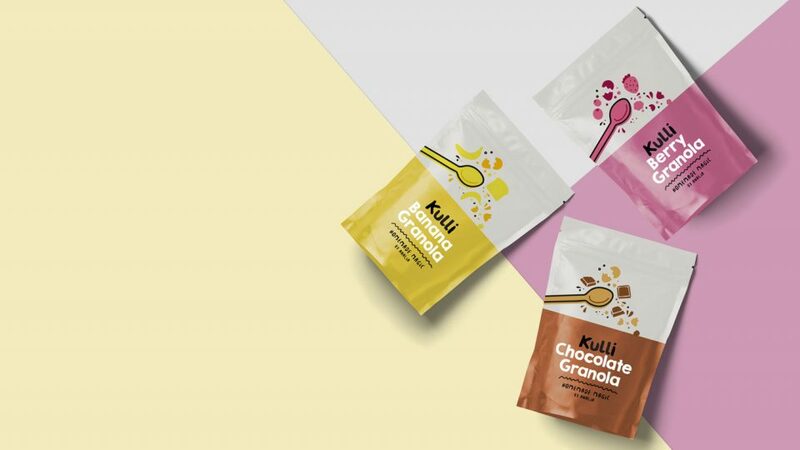 The brand easily translates into the packaging where the variant colour represents the bowl and all the logo elements are spilling into it.